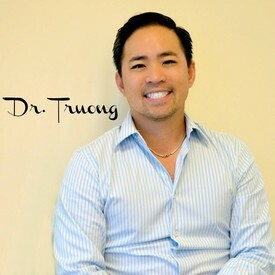 Dr. Truong grew up in Houston, Texas and has been practicing dentistry for over 17 years. He is a 1999 graduate of the University of Texas School of Dentistry and has extensive training and experience in cosmetic and restorative dentistry. His many years of practice have allowed him to build trusted relationships with his patients and within the Houston community. He is truly dedicated to providing excellent dental care and genuinely enjoys meeting and getting to know all of his patients. He is able to make patients of all ages feel at ease in his care. Dr. Truong is a longstanding member of the American Dental Association, Texas Dental Association and Greater Houston Dental Society. In his free time, Dr. Truong enjoys traveling, golfing and spending time with family and friends.